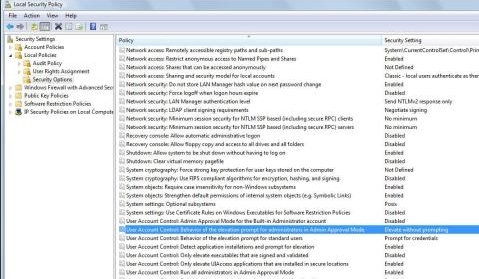 User Account Control or UAC in fact is quite a useful security infrastructure or security feature brought to you by Microsoft in its Windows Vista Operating System. Undoubtedly it is quite irritating and annoying when it keep popping up to seek your authorization, but it plays a very important role to keep you aware if there is any program tries to execute or change something without your knowledge. With UAC, the system also grants you more administrative rights on your computer. Having said that, if you still feel UAC really disturbing you and you want to turn it off at Administrator level, perhaps you can do this. First you Click on the Start Orb>Run, and then type in “secpol.msc” in the Run field. 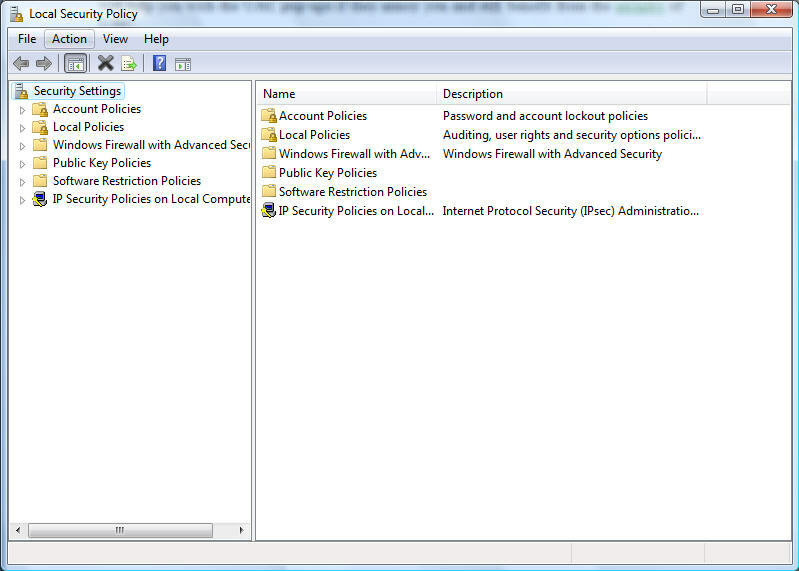 This will lead you to Vista’s Local Security Policy window. Once you reach there, go to “Local Policies” folder and expand it. 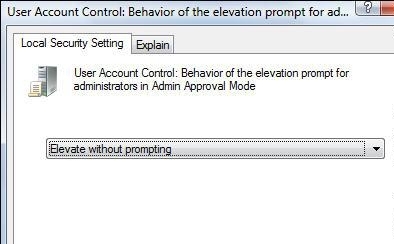 Double click on “Security Options” and try to locate the file “User Account Control: Behavior of the elevation prompt for administrators in Admin Approval Mode”. Once you found it, just right click the file and choose “Properties”. From the windows prompted out, select “Elevate without prompting”. Of course, you need to restart your computer once everything is done. There are many more ways to disable and shut off UAC in Vista.